The Woolworths Credit Card range - get the best from the best. 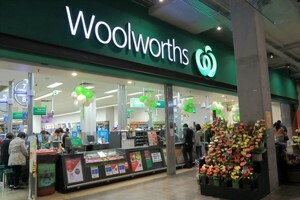 People love shopping at Woolworths because of their high quality products. And the Woolworths Credit Card range makes it even easier to buy the best. They were the first retailer to introduce the’sell by’ date idea on food products to ensure freshness. Woolworths isn’t only about quality foods and the latest fashion. Their Financial Services offer a range of payment solutions with their in-store cards – Gold and Black credit cards plus revolving personal loans. The Silver credit card is for existing customers only. Use your card at any ATM where you see the Visa logo, worldwide. You pay Interest on all cash advances from withdrawal to the time the amount owing is paid. For those below the age of 75, get basic travel insurance when you buy an international airline ticket with your card. The card has a budget facility for bigger purchases. You’re able to choose your repayment period. You get full Balance Protection on your card. This covers retrenchment, critical illness, death, and temporary or permanent disability. It pays the outstanding balance on your account when you die or have some permanent disability or diagnosed with a critical illness. Your fees are paid for up to 12 months if you are retrenched. Choose from eight additional cards. Medical and legal aid. Health services are free to the card-holder and family. It includes monitoring of health conditions during and after a stay in hospital. There are also services which include the dispatch of physician, evacuation, delivery of essential medicine and much more. Travel and general services are also free to the card-holder. This includes innoculation and info on visa requirements or interpreter referral. Pay for petrol with your card. With a Black credit card you get a free coffee or tea twice a month at any Woolworths Cafe. You’ll also get a voucher for a free TASTE magazine each month. With the Black card you earn 3% on all in-store products and 1% on all other purchases. You must earn more than R40 000 per month to qualify. If you want to add a professional touch to your wallet, have a versatile Woolworths Credit card in it – giving you access to instant buying abilities just whenever you want it.